Because of the increasing marginalization of Christianity in the West, many Christians are facing challenging times for their faith. Although this is nothing new, Scripture does offer us encouragement in these times. But in what way is Noah an example of faith for us? Noah is in the tenth generation from Adam in the line of Seth ( Genesis 5:1–32 ). His father Lamech gave him the name Noah (נֹחַ, which is associated with “rest,”2 in hope that he would one day bring relief to the ground that was cursed because of Adam’s disobedience ( Genesis 5:29; cf. Genesis 3:17–19 ). Noah lived in a day in which man is graphically described as “wicked” and when “every intent of the thoughts of his heart was only evil continually” ( Genesis 6:5 ). A day when the earth was corrupt and filled with violence ( Genesis 6:11–12 ). It was ultimately a day when God finally said enough is enough and promised to destroy mankind with the earth ( Genesis 6:13 ). However, there is a contrast between Noah and the wicked people of his generation. Perhaps the most significant thing we are told about Noah is that he found grace in the eyes of the Lord ( Genesis 6:8 ). This is why Noah is characterized as a righteous man, blameless in his generation, someone who walked with God, just as Enoch did ( Genesis 6:9; 5:22; cf. Ezekiel 14:14, 20 ). In a day of unrestrained evil, Noah, who had a right relationship with God, stands out ( Genesis 7:1 ). In the New Testament, Noah is described as a preacher of righteousness ( 2 Peter 2:5 ). The years in which the ark was being prepared highlighted God's great patience with wicked humanity ( 1 Peter 3:20 ). Jesus, also, saw the days of Noah as characterizing the days that immediately precede His second coming ( Matthew 24:37–39 ). The writer of Hebrews defines faith as “the substance of things hoped for, the evidence of things not seen” ( Hebrews 11:1 ). Faith, in this context, is a settled confidence of something as yet unseen but promised by God. Without faith in the promises of God, it is impossible to please Him ( Hebrews 11:6 ). 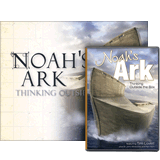 Noah is a landmark figure in the history of redemption because he was a living example of “the just living by faith” ( Hebrews 10:38 ). The evidence of Noah’s faith is seen in his trusting God, believing in His word, and acting in obedience to God’s command to build the Ark ( Genesis 6:22; 7:5 ). Saving faith throughout the Bible is never vague but is always a true response to God’s revelation of Himself ( Genesis 22:1–2; cf. Hebrews 11:17–19 ). 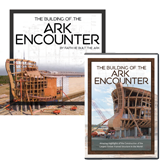 What evidence did Noah have to go on when God asked him to build the Ark? Noah had never seen anything resembling a global flood before.3 All he had to go on was the truth of the character of God. Noah may have known of God’s promise that one day the serpent’s head would be crushed ( Genesis 3:15 ) and therefore trusted that God would keep that promise. 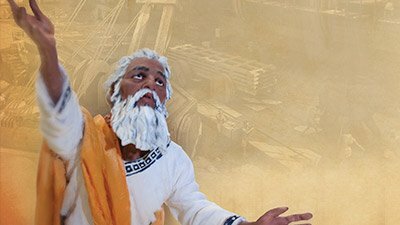 Noah’s faith is illustrated in the fact that, after being warned by God that a great flood would be coming, he made practical preparations for something he had “not yet seen.” But what motivated Noah to build the Ark? It was his “reverent fear” (ESV) of God. Noah obeyed God not only because he knew God in a personal way, but also because his faith was acting on His word no matter how foolish it may have seemed to the world around him. The “things not yet seen” also bring out a dynamic of the Christian life in that we “walk by faith, not by sight” ( 2 Corinthians 5:7 ). The writer to the Hebrews reminds us how those things come together in the believer’s life. The believer’s righteousness reflected in the world is testifying and witnessing to those unseen realities that are coming. As Christians we should seek to live our lives in light of a coming judgment and a new heavens and earth ( 2 Peter 3:11–15 ). We can’t see those things right now, and that faith is seen as foolishness to an unbelieving world. 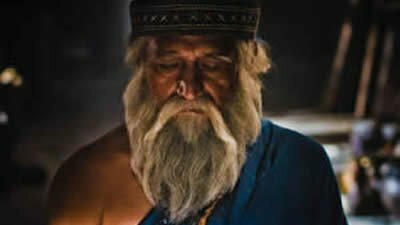 Noah’s faith to take God at His Word condemned the faithlessness of the world around him People may have mocked him,4 called him a fool or insane; but Noah turned out to be the only sane man around. It is the essence of sanity to take what God says seriously, whereas it is the insanity of sin to reject the Word of God. The account of Noah and the Flood also teaches us about the reality of alienation from the world and the scoffing that will come from it, for those who side with God ( 2 Peter 3:3–6 ). It will cost a person everything for choosing to follow the Lord Jesus in this world, but the reward is priceless ( Matthew 13:45–46 ). The account of Noah also demonstrates both judgment and salvation. God is a God of righteous judgment who must punish sin, but most wonderfully He is a God who has provided a way of escape from His judgement. He did this for Noah by way of the Ark. Today, however, Jesus Christ is God’s way of escape from His judgement; He is the “ark” of our salvation, the door by which mankind must enter in to be saved ( John 10:9; cf. 14:6 ), and the only one who can give us rest in a cursed world ( Matthew 11:28–29 ). The Flood is a horrifying account of judgment but also one of glorifying redemption. Our lives will be characterized by either one of these. Either we will trust in Jesus and be redeemed, or we will face the judgment of God for our sin ( Romans 3:21–26; Acts 17:31 ). Noah became an heir of righteousness because of his willingness to believe that which God had promised. . Noah, and every other heir of righteousness, is so only by virtue of having been made one with Christ, the sole heir ( Galatians 3:29 ). Because faith takes us into Christ who is the heir of all things ( Hebrews 1:2 ), we can only inherit that righteousness by being united with Him. George H. Guthrie, “Hebrews,” in Commentary on the New Testament Use of the Old Testament. Ed. G. K. Beale and D. A. Carson (Grand Rapids, Michigan: Baker Academic, 2007), 984. The Hebrew נֹחַ does not inherently mean “rest,” but is associated (at least conceptually) with the Hebrew verb (נוח)and related noun נוֹחַ that mean “to rest” and “rest,” respectively. 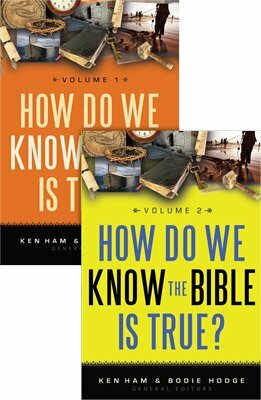 The Genesis account of the Flood is clearly a historic global catastrophe. This is asserted by the text itself ( Genesis 6:13, 17; 7:11–12; 7:17–24 ) and by the New Testament authors ( Luke 17:26–27; 2 Peter 3:5–6 ). Although Scripture does not specifically say that Noah was mocked by the wicked world that he preached to, it is not an unreasonable inference to make. Mockery is often something people experience for their faith in God ( Hebrews 11:36 ), especially when the truth of God’s word is preached to sinful mankind (e.g., Acts 17:32 ).